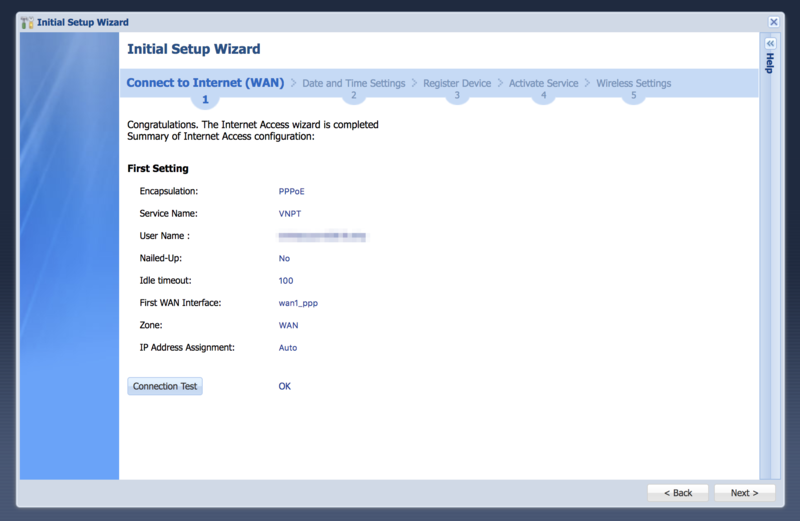 In the initial wizard you need to setup your Internet connection first. Please make sure your connection type(Ethernet/PPPoE/PPTP). And connecting the physical cable to correct port. Then there is a connection test button to make sure your internet connection is “OK” or “Fail”. 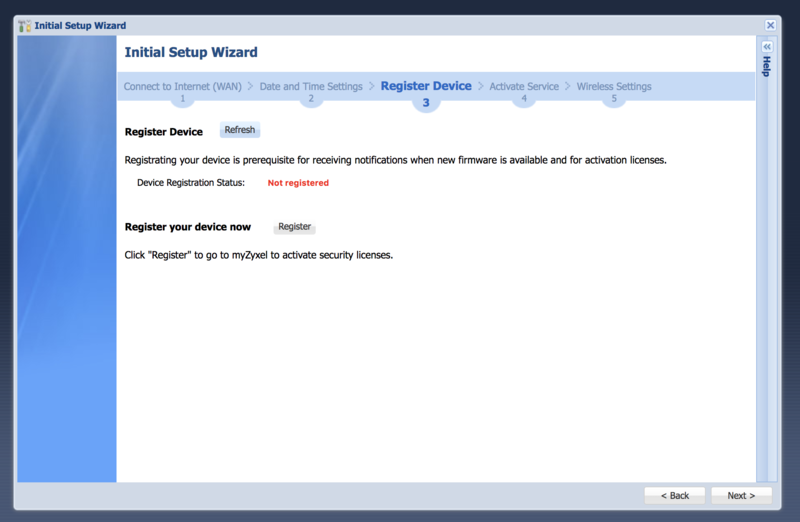 After confirmed connection is working, then click Next button continue the wizard to step#3(Register Device). 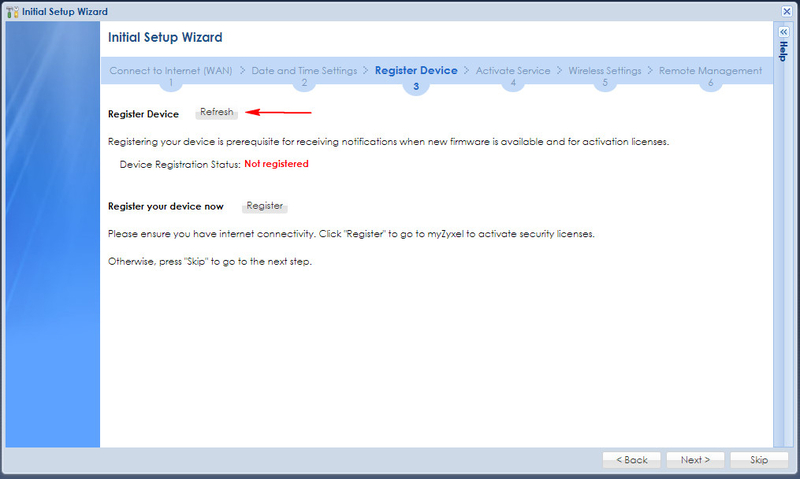 In Step#3, there is a refresh button to sync registration status with MZC server. After synced successfully, you will got the registration status is Registered. Yes, i did all those steps properly. 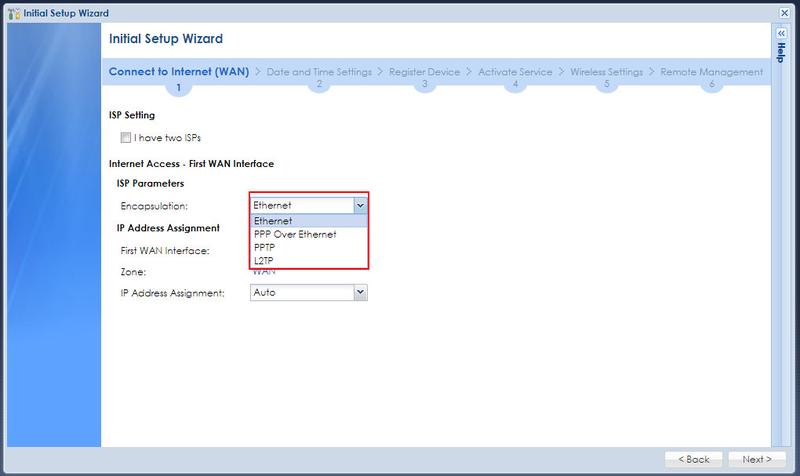 I can connect to the internet from client via router ( which means internet work properly). #1 : internet connection test is OK. I can plug another computer to this router LAN port and access internet normally. 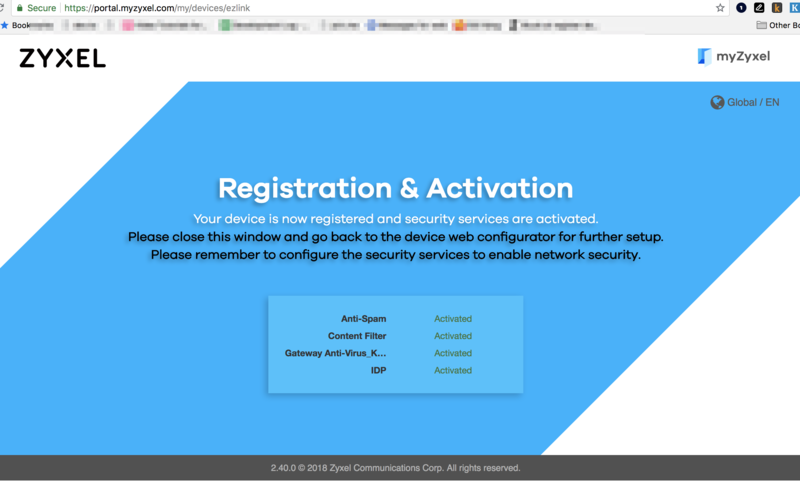 #3 : If i clicked register button, here what i can see ( i logged into zyxel portal before click ). Is this means register went through? 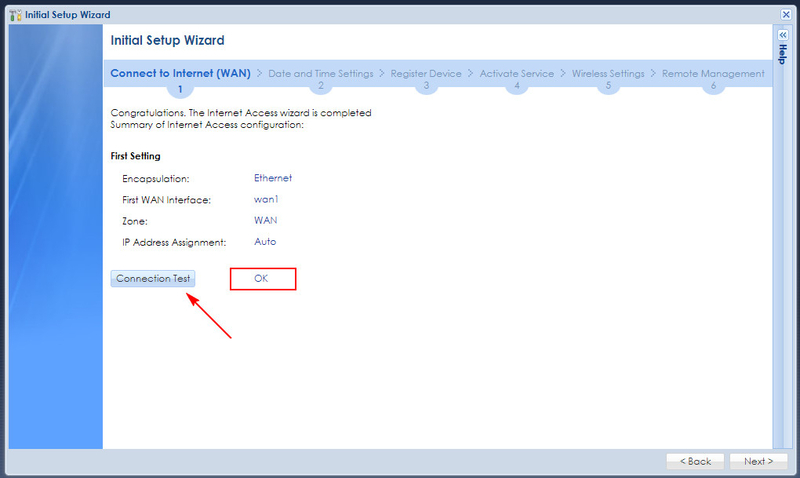 We noticed that your device token mismatched with server side due to some unknown reason, the reason could be network connectivity issue or something else. Usually this symptom will disappear after rebooting your device. Now your device is back to normal, you may check on it. Thank @Zyxel_Stanley for helping me resolve this. Update firmware and problem gone.